In the process of restoring the Xerox ALTO, an interesting issue came up. We received our first ALTO in running condition and after evaluation and testing, put in on the exhibit floor available to the public. One afternoon about a year later, the machine suddenly froze and stopped functioning. It was taken off the floor and evaluated in one of our labs. 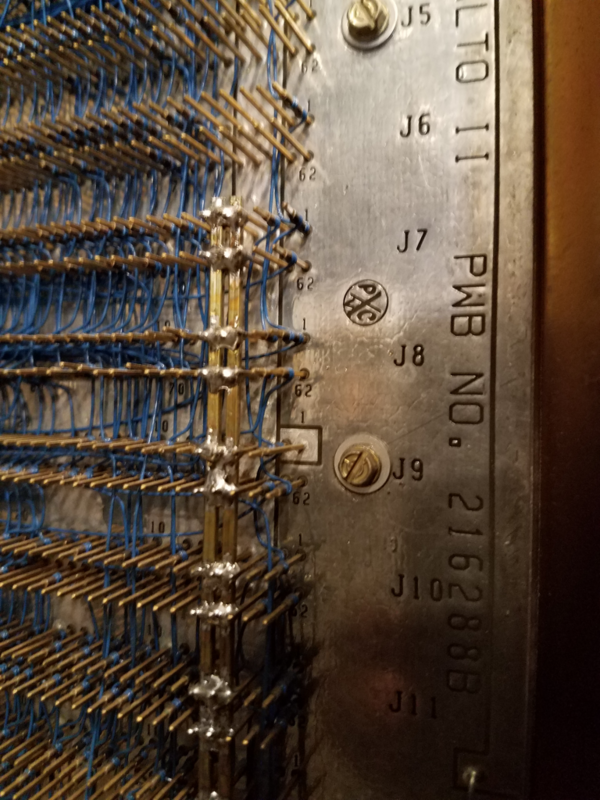 When it became clear that power supply current was not flowing into random parts of the backplane, the focus shifted to the power supply rails. It was there we were confronted with this phenomena. Certain production and test details were left out of the ALTO. The amount of current running through individual pins supplying regulated DC to the logic is unusually high. Most of the time, power supply current is fed through as many pins as possible to reduce the total current running through any one pin. Because the ALTO was a prototype, the designers only used the minimum number of pins to do the job. This resulted in a phenomenon called “electro-migration”. It is the reverse of the process used for electroplating. 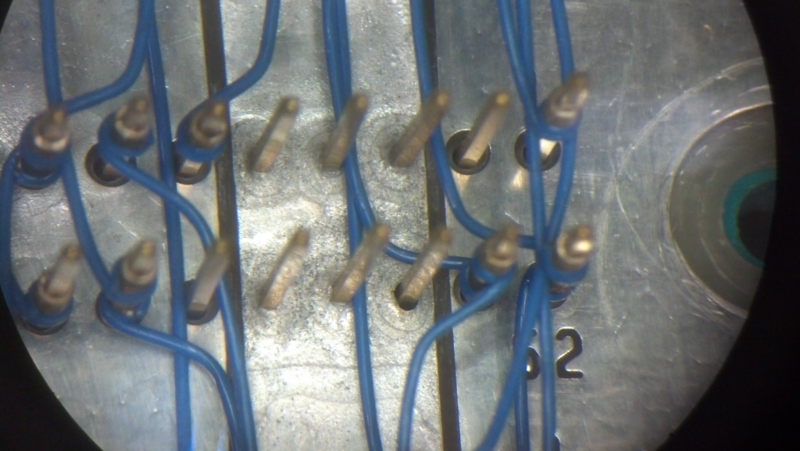 In this instance, tin ions migrate away from the solder joints carrying the power supply current. 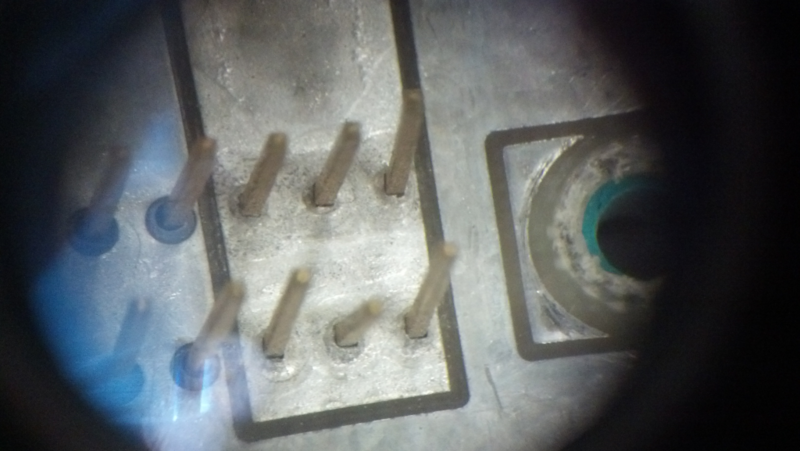 The six pins in the center of the first photo show a mottled (instead of smooth) surface, and one of the pins has a dark ring around it indicating where the solder has totally migrated away from the connection (lower right pin). The second photo show six pins where the tin has migrated away. Example of electro-migration on Xerox ALTO power supply bus. Another example. Here all six connections in the middle of this photo are compromised. Brass buss rails soldered to ALTO backplane to increase power supply current capacity. The buss rails are the vertical elements running through the backplane. Once this fix was applied, the ALTO was put back in service, and this phenomenon has not repeated itself. The ALTO will be monitored to see if this phenomenon shows up again. This chapter has also been instructive for some of the other machines we are restoring. In these instances, it is extreme age, rather than something done for a prototype as the causative factor.